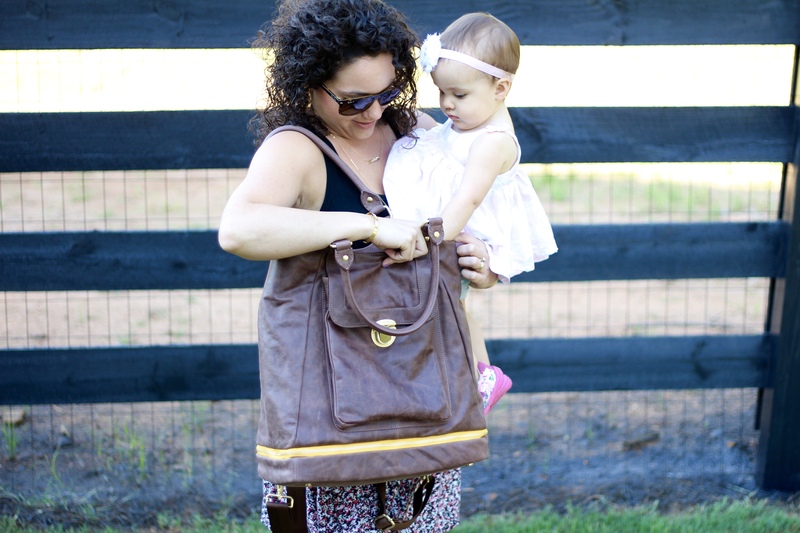 Do you love your diaper bag? What is your favorite feature? 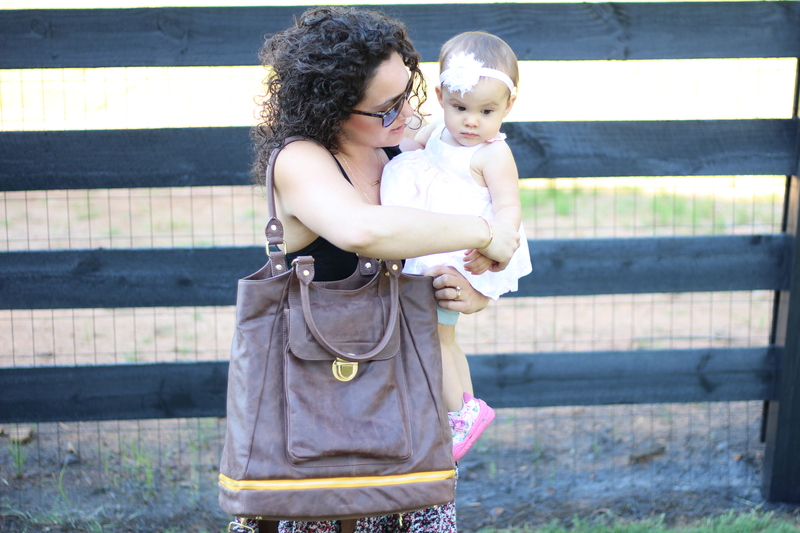 I’m pretty much obsessed with my new diaper bag from dapperBag. All of their bags can be worn as a backpack, & this is my favorite feature. There are plenty of little pouches and areas to organize all of your needs in the dapperbag Durango. I also really love the zipper at the bottom of the bag. This is where I store a change of clothes and diapers. The Durango is a whiskey brown cowhide leather with a matte wax protective coating. That coating comes in handy! I went to Chick Fil A with my mom friends after a splash pad play date and while there a child touched my diaper bag with fried food fingers. I thought for sure the bag was going to forever have finger prints. I wiped it with a baby wipe and guess what? No grease stain! More protectant on the inside too! The bag also has a stain and water resistant interior. Remember my favorite feature? The straps, they are not only adjustable they are removable. So if you would rather wear it on your arm you can. I also love how this bag has protective feet on the bottom, so if you need put it on the ground the bottom is protected. dapperbag has 3 beautiful styles right now. You can check them all out here. Want a dapperbag? Check out Instagram for GIVEAWAY details.